My work captures life caught in a moment of action and adventure. I embrace risks, I relish the unknown, creating images and being adventurous in the process of painting. Large canvas’ are the theatre for a circus of materials, conventional and unconventional. I use sweeping strokes of layered paint, thin and thick contour lines, soft forms, in addition to an expressive palette of color. 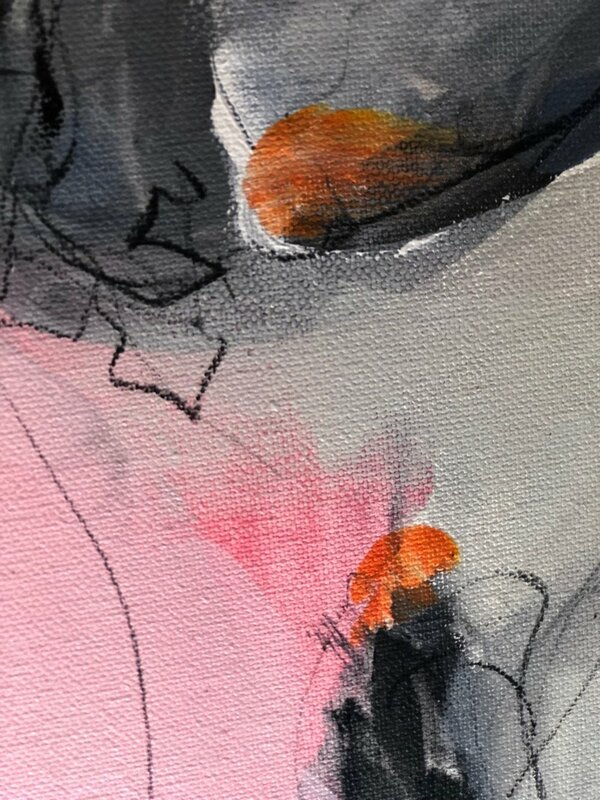 It is the little “surprises” of color and marks that make the painting surge forward. The forms create visual contrast and entice the viewer with pattern and kinetics. I embrace the notion of turmult. I am willing to make mistakes, cross the wires a little bit, and create a madness of non-representational art. Connect the dots, blur the boundary of my thoughts, daydream and my process creates energy theatre as an end result. Look around at the beauty of construction. Especially in downtown Dallas. None of the above. Small 2 minute video of things i like. What a thought. Yes, the song from The Books. Love it. Explains a lot of how my life is going. Never say never.